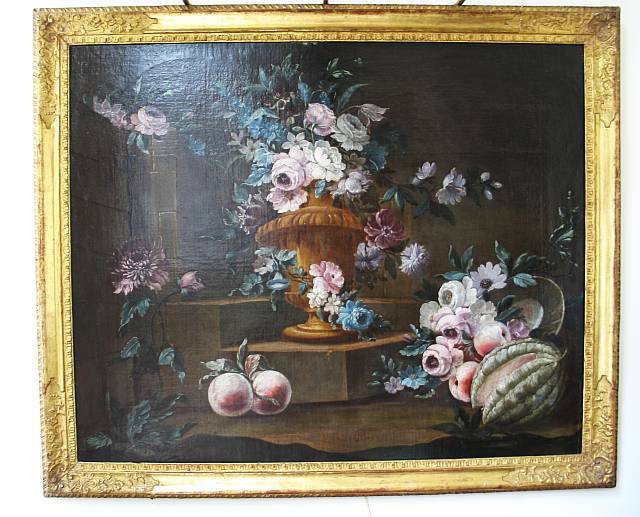 Oil on canvas painting by Jean Belin de Fontenay (1653 - 1715) of urn with flowers and fruit. Belin worked at Versailles for Louis XIV. Original gilded frame.